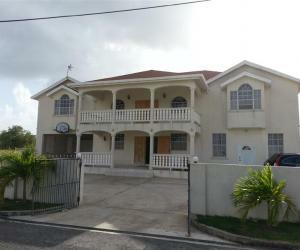 Brand new 3 bedroom, 2 bathroom house located in the popular and well established residential community of Fortescue, St. Philip. This Barbados house for sale is being sold "as is" with its interior unfinished thereby allowing the new owner the option of finishing it to his/her own taste. It offers lovely sea views in the distance. Affordably priced at BDS$278,000. ACT NOW! To arrange a viewing, please contact Coral Stone Realty at 246-420-3687/246-266-8888 or email us at sales@coralstonerealty.com.